When in 2016, Pandaw became the first Western river expedition operator to break into Southern China, we were following – as befits our company heritage – in famous Scottish footsteps. Our Mekong: From Laos to China itinerary allows our passengers to experience the floral glories of Yunnan, the Southern Chinese province known as The Kingdom of Plants, once the hunting-ground of George Forrest, one of the greatest of all the “plant hunters”. It is this opportunity to enter the horticultural Aladdin’s cave that Forrest first revealed over a century ago that makes this unique 14-day expedition unmissable by all serious gardeners. A highlight of our itinerary is the Xishuangbanna Tropical Botanical Garden, a vast garden and conservation centre with over 13,000 plant species. If any of the highland plants encountered there or on other expeditions along the route of the the MV Laos Pandaw and the new Sabei Pandaw, seem familiar that is because of the mass of botanical trophies that Forrest brought back to Britain in the early 1900s. The specimens that were catalogued by the Royal Botanical Gardens in Edinburgh were to thrive in his native soil and proved hugely influential in determining how Britain gardens for generations afterwards. It was Forrest’s strenuous, occasionally death-defying efforts in Yunnan that resulted in many of the varieties of acer, camellia, daphne, iris, primula and, of course, the rhododendrons that became the must-have status symbol of the Edwardian landed gentry. So who was George Forrest, and what was the attraction of Yunnan to pioneering plantsmen? This Southernmost province of China, like Northern Burma, Assam, Bhutan, Nepal and Tibet, lies in the “temperate forest zone”, the great high plateau that extends across much of the bottom half of the Asian landmass. Crisscrossed by innumerable river systems, cooled by its high altitude and watered with heavy levels of rainfall, Yunnan sits in one of the most biodiverse areas in the world. By virtue of the relative remoteness and isolation of those high valleys, aeons of plant evolution have resulted in plant diversification and specialisation which is as extreme as that found on, say, the Galapagos Islands. Plant family trees have developed into numerous wonderful ways, developing elaborate family trees and subtle variations. While there may be as much, or more, plant biodiversity in the Amazonian rainforests or other tropical habitats, to European gardeners these beauties of the Asian temperate zone have the obvious advantage of proven hardiness outside the greenhouse. Essentially: If they can survive the high altitudes of the Himalayan foothills, they can survive a hard frost in an English (and even a Scottish) country garden. Thus for an ambitious Edwardian plantsman with an eye on supplying the green-fingered domestic market, Yunnan was Shangri-La. One of the first people to see the commercial potential was George Forrest (1873-1932) a humble chemist’s apprentice from Kilmarnock, who, by a series of random accidents was sent to Yunnan in 1904 by an enterprising nurseryman from Exeter who contacted Edinburgh’s Royal Botanical Gardens (RBGE). This patron had heard tell of the extraordinary plant discoveries and seeds brought back by French missionary priests venturing into Yunnan from neighbouring Indochina. The fathers were reluctant to share their discoveries, at least with with Englishmen, but the RGBE put forward this young herbarium worker in answer to an appeal for a young explorer who might bring samples back to Blighty. 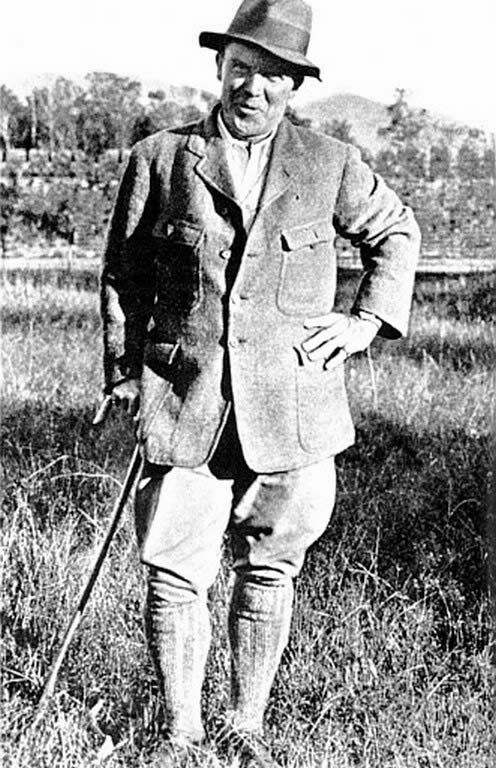 Over his life, which was eventually to end on the Mekong in 1932, after a heart attack, Forrest made repeated visits to Yunnan, methodically collecting and recovering samples, building up a team of 20-30 trained “native” plant hunters. Yunnan at that time was an exceptionally tough environment, the scene of horrific violence inflicted by Tibetan Lamas, then rebelling against Chinese encroachment. On his first visit, Forrest narrowly escaped an ambush in which the French priests who were accompanying him were perseveringly tortured in horribly imaginative ways. Forrest himself nearly died after various harrowing adventures, and after going into hiding, was reported dead back in Edinburgh, causing much to the distress of his family. When he did emerge, he was profusely apologetic for losing his carefully-amassed samples and botanical drawings. Forrest’s ordeal does not seem to have fazed him, as he was an exceptionally tough, and by some accounts, not a particularly attractive character, despite his Indiana Jones image. He made no attempt to his frank contempt for the gentlemen plant hunters of his generation, whom he considered dilettantes, and he proved adept at keeping them off his Yunnan “patch” as he returned time and time again over the decades to collect and catalogue samples. The gardening author and plantsman Ken Cox of the celebrated Glendoick Garden Centre near Perth has researched extensively on the plant hunters of that generation. Although his own grandfather Glendoick’s founder, crossed swords with Forrest, Cox rates him as “in the top five” of all the great British explorer-plant hunters of the last three centuries, the most famous of whom were Scots. Cox excuses Forrest’s unsympathetic behaviour on the grounds that he was a professional with a living to make, not a happy amateur, and anyway, great explorers tend to be hardy survivors rather than genial chaps. Where Forrest went Pandaw passengers can now follow, seeing the same glorious sights but in comfort, rather than at risk of life and limb.